The National Eagle Scout Association (NESA) has established the Glenn A. and Melinda W. Adams National Eagle Scout Service Project of the Year Award to recognize valuable service of an exceptional nature by a Scout to a religious institution, a school, community, or other entity. The award recognizes the Scout for his Eagle Scout service project, which is part of the requirements for earning the Eagle Scout Award. Each local council will choose a council-level winner, and from that pool, each region will pick a region-level winner. A national winner then will be selected from the four regional finalists. 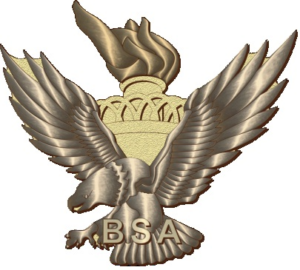 The Spirit of Adventure NESA Committee would like to encourage the Eagle Scout's from this year’s class, his parents, or any registered BSA volunteer (with the Eagle Scout’s permission) to submit his Eagle Scout service project for consideration. The last day to submit nominations will be in January 21st 2018. The submission must include the application, a name and summary of the project, and the Eagle Scout’s contact information. A complete duplicate copy of his Eagle Scout Service Project Workbook (previously submitted by the Scout to his Eagle board of review committee) must be attached to the application. The council - level winner will receive a certificate and a bronze device for the Eagle Scout embroidered knot from the National Eagle Scout Association. The presentation will take place at the Council's award dinner in the spring of 2017. All council winners will be considered for the Regional Eagle Scout Project of the Year Award where those winners can bring home $500 to be used for future educational purposes. If you are able to advance to National consideration you could receive up to $2,500 toward future educational purposes.